Rendezvény kezdete: 2019.05.23.Rendezvény vége: 2019.05.26. It is our great pleasure to invite you to the 39th Annual Meeting of the Korean Society of Nephrology (KSN 2019) which will be held at Seoul Dragon City, Seoul, Korea from May 23 to 26, 2019. One of the major missions of KSN is to add depth to the international exchanges that take place at KSN meetings and to provide various educational opportunities for the society members. Since its foundation in 1980, KSN has organized national scientific meetings and expanded it as an international meeting in 2016, making KSN 2019 its 4th international meeting. In 2018, almost 1,600 delegates attended the KSN 2018, and 39 overseas experts from 22 countries were invited to give engaging lecture and provocative discussion. 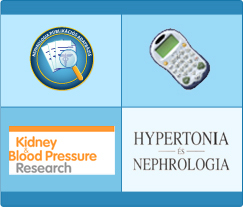 Under the theme of "Peaceful Kidneys, Save Lives," KSN 2019 is preparing an international congress with sessions on hot topics such as the Artificial Intelligence in Medical Field and the most recent updates in various fields of nephrology. Joint symposia with related societies will be actively held including the KSN-APSN Joint CME course, KSN-KDIGO joint symposium, and KSN-TSN-JSDT joint symposium. We firmly believe that KSN 2019 will be a more flourished international meeting in both quality and quantity.